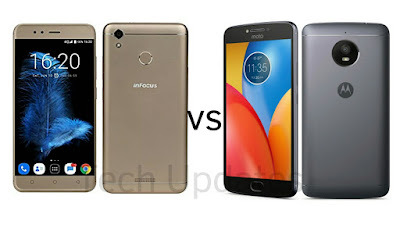 Infocus launched Infocus Turbo 5 in India with 5000mAh Battery, Fingerprint scanner at a starting price of Rs 6999.Moto E4 Plus also comes with similar specifications. 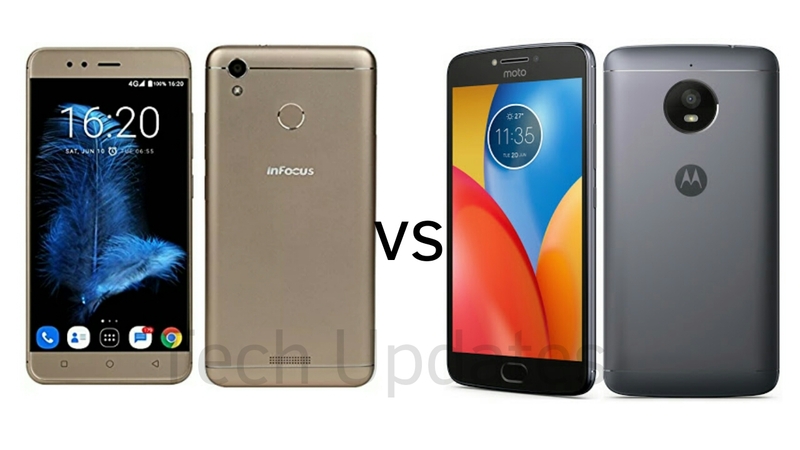 Check out Price, Specs, Features Comparison between Infocus Turbo 5 and Moto E4 Plus. Both Phones has Metal body, Fingerprint Scanner, 5000mAh Battery, 13MP Rear camera and 5MP front facing camera. InFocus Turbo 5 comes in Mocha Gold and Pure Gold color expected priced at Rs 6999 for 2GB RAM and Rs 7999 for 3GB RAM model available through Amazon. Moto E4 Plus comes in Iron Grey Fine Gold priced at Rs 9999 in India.